To supporters, the wording of a proposed constitutional amendment to legalize medical marijuana in Florida is clear. But to Attorney General Pam Bondi, Republican legislative leaders and some politically powerful opponents, the proposal isn’t clear enough — and should not be allowed on the November 2014 ballot. The Florida Supreme Court will try to sort through the conflicting arguments during a hearing Dec. 5, a key step in deciding whether voters will see the issue next fall. Justices are not supposed to consider the merits of constitutional amendments, such as whether decriminalizing medical marijuana would be a good thing for the state. Instead, they look at the ballot title and summary — the wording that voters see at the polls — to determine whether the proposed constitutional changes are accurately described. Also, justices look to make sure the proposals deal with single subjects. Even if the Supreme Court signs off on the proposal, that does not mean the medical-marijuana amendment will go on the ballot. The group spearheading the proposal, People United for Medical Marijuana, still would need to get 683,149 valid petition signatures. Bondi and Republican legislative leaders gained more legal firepower Friday when a coalition of influential groups filed a brief with the Supreme Court seeking to keep the measure off the ballot. Those groups include the Florida Chamber of Commerce, the Florida Medical Association, the Florida Police Chiefs Association and the Florida Sheriffs Association. The briefs outline the key issues in the legal battle. Perhaps the biggest issue focuses on whether the wording accurately describes the breadth of the proposed changes. Bondi’s office has focused on that final part of the definition, contending that it would open up “unfettered” authority for physicians to approve the use of marijuana. The attorney general’s brief Friday said voters would not know that from the wording of the ballot title and summary. Bondi’s office contends that the language is misleading because it suggests that federal law allows medical marijuana. “For decades, marijuana use — including for medical purposes — has been a federal criminal offense,” the attorney general’s brief said. But supporters of the amendment have a completely different interpretation of the language, saying it places voters “on notice” that the proposal does not authorize violation of federal marijuana laws. I am just SO weary that we are still having this discussion. Good grief…just legalize it already. 700,000 petitions by next year should be no problem. I worked on a petition drive concerning ethical treatment of pregnant pigs and that was an unusual issue. (guess what? it got on the ballot) There are some people who truly benefit from the use of marijuana and not just for the reasons listed above. The positives outweigh the negatives from a number of angles. @ Ella — do you understand how many people are negatively affected by smoke, ANY kind of smoke? I think the doctors and hospitals would differ with your statement. People have the right to breathe clean air. Not relevant, users can ingest via food or use a vaporizer, thereby getting around the smoke. @Genie- do you understand that there are a great variety of ways to ingest marijuana, of which smoking is only one? IT IS THE PEOPLES NATURAL RIGHT TO GROW AND USE THE MOST MEDICINAL PLANT ON EARTH, CANNABIS. NO GOVERNMENT OWNS THIS PLANT! TAKE YOUR RIGHTS BACK NOW! EATING CANNABIS OIL CURES CANCER AND MUCH MORE!!!! THIS IS THE REAL CURE, NOT POISON CHEMO/RADIATION! CHECK OUT THIS LINK AND SPREAD THE WORD!!! It is truly funny how a group of people so intent on keeping the government out of things like healthcare is the first at bat when it comes to insisting that the government should insert itself into healthcare when medical cannabis is concerned. I guess it’s no big surprise, we’re talking about a political party that has an established history of ignoring peer-reviewed scientific studies when they don’t agree with what their lobbyists want. Come on next election, the sooner these assclowns are out of office the better. I actually use to give a crap about this state…….I stopped ! I’m going to vote for anyone who WANTS to legalize medical marijuana. I have come to the conclusion that the politicians, lawyers, law enforcement want nothing more then ARREST, PROSECUTE, and STEAL the citizens money on FINES, and FEES. Its all a SCAM !!!!!! It should NOT be anyone’s right to choose which medication works best for me other than my doctor and myself!!! 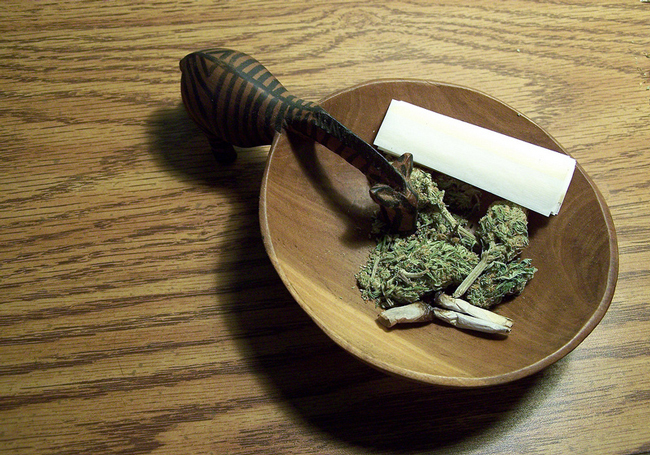 It isn’t with morphine–why is it with marijuana?